¡Presente! 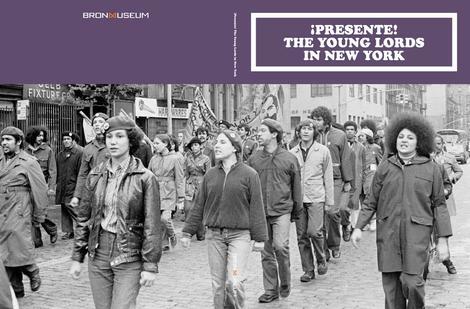 offers an artistic and cultural survey of The Young Lords Organization—a radical social activist group founded by Puerto Rican youth in the 1960s that demanded reform in health care, education, housing, employment, and policing. Exhibition curators Johanna Fernandez and Yasmin Ramirez will be on hand to sign the newly-released catalog accompanying the exhibition.